Please read this one through. This is important. 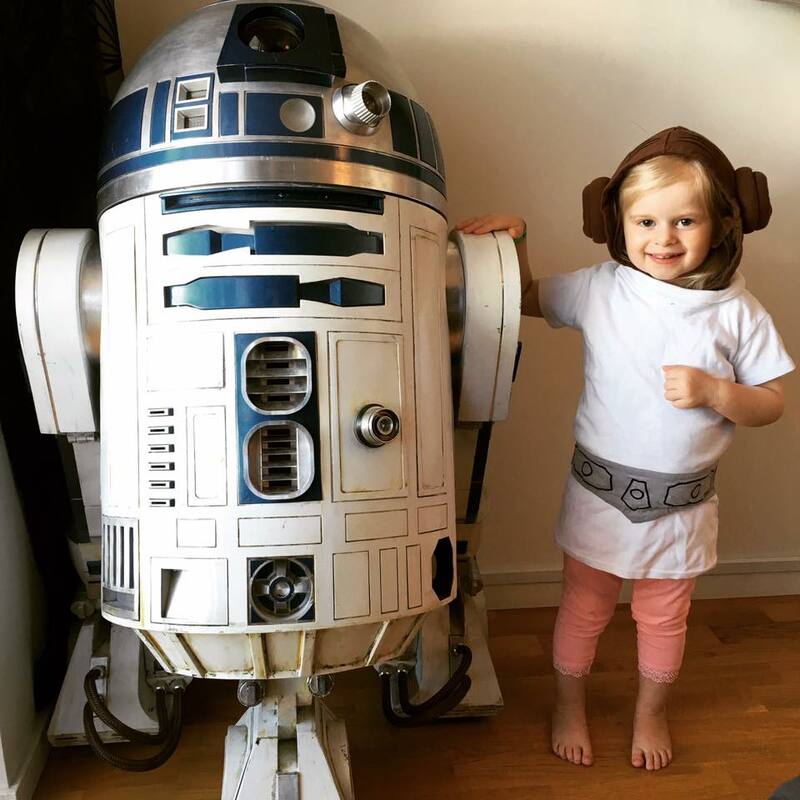 I recently wrote a long post about when I took my R2 to visit a little kid with cancer in Uppsala. A brave little trooper that bombarded us with trivia and questions in spite of his illness. Little did I know disaster would strike my own life precisely 4 weeks later. On Thursday, June 16th, we took our daughter to the emergency room. She had not been behaving what we thought was normal for a little while, and grew tired of waiting for the referral from our local physician. On June 21st, our lives came crashing down. Emma, our beloved 3 year old, has been diagnosed with a malignant brain tumour. She turned 3 on June 13th, so literally the worst gift any child could receive for their third birthday. Her tumour is unusually large. She was likely born with it and it has grown slowly over the years. That is the only reason it can be so large and she has not had any symptoms until recently. Her cancer is inoperable. It is too big, and located so centrally in her brain that it can not be removed through surgical means. Our only home is chemotherapy which will commence as soon as the results form her biopsy comes in. Naturally, our lives are wrecked. It is a disaster. We are living in a nightmare. I don’t know yet what it all entails, it is too early, but we do know that we need to prepare for a LONG fight. Currently, None of us are working. We are both on sick leave to help Emma as best as we can. Marta (my fiancée) will not work until Emma is well again. That can mean up to two years. I might return to work after summer. We don’t know. It all depends on the treatments. 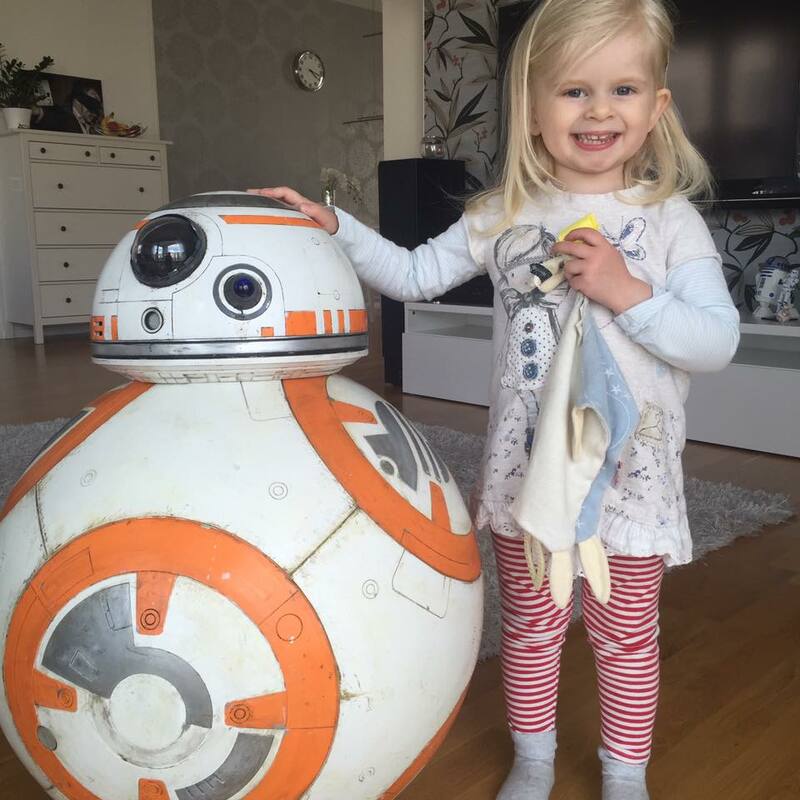 I might need to sell my R2. I don’t know yet. If anyone would be willing to buy him, he looks amazing. If you have read this build blog in the past and have enjoyed it, you can help us. Please share this link within your network, and should you have the possibility to help out, it is much appreciated. Emma is so brave and strong. She is stronger than all of us, I think. She is a little tired after all the tests and the seizures she’s had, but once she is well rested she is so happy. She just doesn’t have the stamina to do much. Yet.